When Valentina Linkin is offered a free trip to a tropical island, she takes up the offer without hesitation. Under no pressure to cut her vacation short, she hopes to enjoy the sun before starting her life over. However, the longer she stays, the more she finds strange things that can't be ignored: freak illnesses, terrible accidents, and people who never come back from the hospital. Ira Konstantinov admitted herself to the island hospital a year ago. Her life has never been a breeze, but she hit rock bottom when she was imprisoned and robbed of human sight. She waits in the darkness, trying to find her way above ground. There are horrors on this island - on the surface, underground in the labs, and within the inhabitants themselves. Linkin and Ira are different now, and science hates imperfections. IT'S TIME TO MEET YOUR MATCH! Check out the next chapters for more details and add this book to your library and follow (@WattPairsMentorship) for all Updates about the contest. For over 100 years, humans were the superior species. Elves and mages were slaves and dwarves hid in the northern mountains. A war is ongoing, the Unchained are trying to make the world a free place and for Annika, it is too good to be true. Now free, she finds her way back to the home of the Unchained, Tria. Elias Kane tells her that her future is hers, but Ethan, the leader of the Unchained, has different plans. The truth is, the war is taking a greater toll than anyone realizes. 26 years have passed and the war is still ongoing, the only light at the end of the tunnel is the new, great powers which are waiting to be discovered. Recaptured and relocated to black sites around the world, Ira and Linkin are barely surviving. Stripped of their identities and tortured to the breaking point, they find out that there are bigger plans for them. They are forced to use their mutated abilities for a common purpose after losing their loved ones and each other, and there are consequences worse than death if they step out of line. This time, there's nothing they can do. Dell Island was just the beginning. Oasis awaits. Ira and Linkin have escaped the grasp of the Oasis Project, but at a price. They live in constant fear of having their freedom and lives taken away. Now, with the Deviations making themselves known across the globe, it's not only the Oasis Project who are after them. It's been almost three years since Dell Island, where they were turned into mutants against their will. With a new army around them, Ira and Linkin are ready to take their lives back. And that means finding a way to bring down the Oasis Project once and for all. Days are arbitrary when drifting from star to star, too lost to look for the way back home. Join the Traveller and their only companion - the sentient ship, Levira - on an adventure through deep space. Witness the wonders of the universe through fragmented diary logs. Will we ever find the meaning of home? Cover by @storms_and_seas. Thank you! In a flash of light, the world Leena once knew disappeared. She no longer found herself surrounded by magical Elves, Dwarves, and Mermaids, but instead Humans in a technology-driven world. A year and a half later, Leena has just started adapting to her new world before it all starts to change when Detective Ethan Kane catches up with her. He has questions, but no one in his world can answer them. Together, Leena and Kane try to get back to her world, but once there, things are not the same as Leena had left it. "When I woke up the next morning my family was dead and my hair and had started to turn white," I kept my eyes closed as I told him my story. I was almost able to watch the events happen again like a movie in my mind. I only opened my eyes when I heard nothing from Roman and felt him rise from the mattress. He didn't speak, just sprinted out of the room and left the door open letting light pouring in from the hall. Once again, I was alone. Tasnia used to be a normal girl, but that was over 200 years ago. Since then she has been on her own searching for answers of what she is and what happened to her family. Her quest for answers will lead her to the land of the Fae, Lyavil. With a Haust Lord (Roman) and a Guardian Disir (Kieran) also trying to gain answers about who Tasnia is, she will quickly have to decide who she can trust. When a ghost from her past returns, Tasnia's life starts to fall apart as she learns that everything she once knew was a lie. 2012 wasn't the end of the world; it was only the beginning of the end. An end that has united the world, brought out primeval instincts, and wiped out half of the global population - in the form of an immortal virus. I will soon join the ranks of the dead, but I have speculated for a long time that there is something far more sinister behind this ugly pandemic than the virus it is blamed on. Looking for the answers is my ultimate deathwish, but where there are answers, there are cures. I am hopeful. I am still breathing. Cover by @MulanJiang. Thank you! SPOILER ALERT! 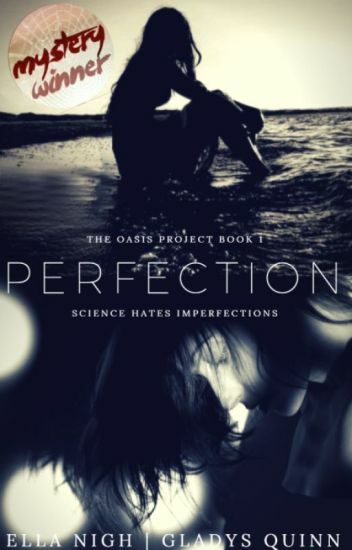 Please don't read this until you have read up to chapter 33 of Perfection (The Oasis Project Book 1) by @EllaNigh and me. It's posted on her profile! If you're reading this, you probably know what this story is going to be about and I don't have to explain. Yay! A notorious criminal's psychopathic clone, a space patroller who has no idea about Earth, a very confused scholar from another corner of the galaxy... They're looking for jobs in Australia, as aliens do. Obviously. After saving Earth from a mass-extinction event, alien siblings Renya, Olasa and K are tasked with subtly overseeing the recovery of the planet. "Subtly" being the key word. They need to blend in with the human population so they don't break the law of cross-planetary interference again, but where do they even begin? Join them on a hilarious and heart-warming journey of settling around here.